Voices of negativity and doubt. More than half of writing is the writer convincing themselves they know how to write. The rest is self-assurance that what they’ve written is exactly what it should be. Being a Christian writer ups the ante. Suddenly, it’s not just good enough to write something, but we must also write something moralistic. Then, if we get past the misgivings, if we manage to shut off the voices, it seems like a reader misunderstands our intent, and suddenly everything we knew we did right, all the i’s we dotted and t’s we crossed are maybe a bit off. It could be we missed the boat, and what if he or she is correct? Writing is full of what-ifs, and Christian writing has way more of them because there’s that standard again. Problem is, people adjust it for themselves. What’s good to one person is outside the perimeters with another. What I write, what you write, sometimes falls flat with a person who simply didn’t understand it. Or perhaps they wrote a completely fair review, but for some reason, all those doubts surface again because it could be if you’d pulled back here or pushed further there, it would have become better, more people pleasing. It could be the voices in your head are right. I have soft places in my skin where occasionally the dart of public opinion has made its way through. I have scars in other locations that I protect lest anything hit me there again. Both feed into the doubts that never quite leave. But here’s the thing. I can use those same doubts to make me a better writer. 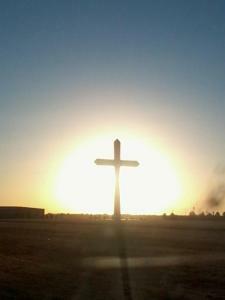 They fuel my faith. They cause me to look harder at myself, which in the long run might be painful, but is a very good thing. They help me hold my head up high when a book wasn’t, for that one person, what they expected it to be. They push me forward. I wish life was full of glowing five-star reviews, but if you’re a new writer, then I’m sad to say, it isn’t. For every five-star you receive, the one you’ll remember will be the three, the two, or the one. But instead of sitting down and giving up, instead of releasing the talent God’s given you, use that energy to keep writing. So that reader didn’t like it. So you don’t have all the fan uproar other authors seem to generate. So your author ranking, yours sale numbers, don’t glow in the night. Don’t let that stop you from writing because one thing’s for sure, as soon as you do, you definitely won’t see success. And here’s one final word from someone who’s been at the bottom. All the money and fame in the world won’t make you happy. People’s comments won’t make you happy. Good reviews are nice and fan praise is awesome. But if you can’t find that joy within yourself first, you’ll still fail. I never imagined when I got into this business that people could be so awful to other people. But they are and I’ve learned to go back to who I was before I became a writer – a daughter, a sister, a wife, a mother, someone’s best friend. Who I am inside, who God has made me, is far more important than what John or Jane Doe have to say, and that girl, who loved books at age sixteen, more important to please. 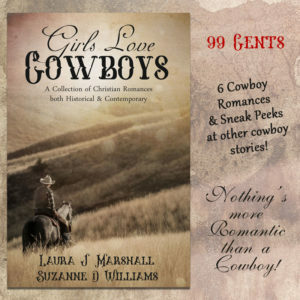 6 cowboy romances for only 99 cents! Wow, can I relate… LOL.